New business models bring food to towns too small for big box stores. Ten years ago, plagued by equipment failures and increasingly sluggish sales, the only grocery store in tiny Walsh, Colorado, closed its doors. But the town’s 600 residents, suddenly facing a 40-mile round trip for food, didn’t despair. Instead, they pooled their money and reopened the historic Walsh Community Grocery Store, a fixture in their town since 1928, as a community-owned store. Today, the store is turning a profit, and has just one payment left on a $160,000 loan it used to restock and remodel. 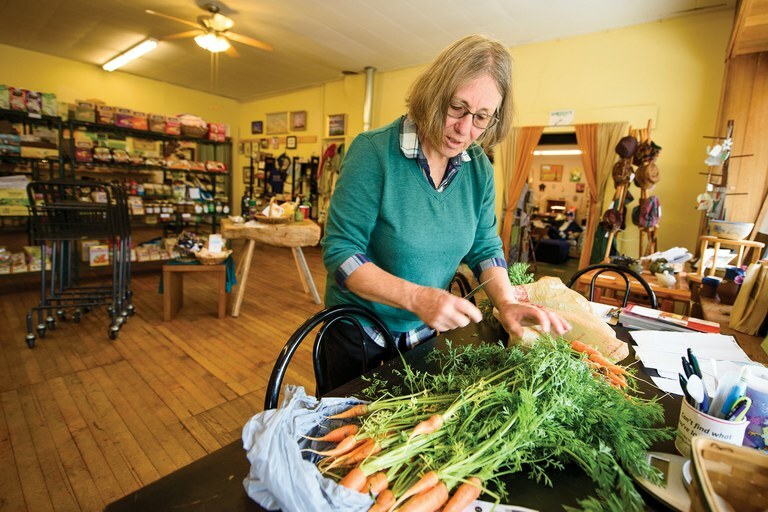 The shop’s strategy of combining smart community organizing and traditional business acumen is a model for other tiny towns struggling to maintain local grocery stores, even as dollar stores and their frozen wares take over main streets throughout rural America. Roughly 6,000 dollar stores have opened in the U.S. since 2010, according to the retail research firm Conlumino. For at least one chain, Dollar General, the large majority are in towns of 20,000 people or less — places too small for big box stores, like Wal-Mart, but perfect for a dollar store’s slightly smaller shop. In rural communities, grocery stores — part economic driver, part community builder, and part food supplier — are key institutions, according to an analysis by the Center for Rural Affairs. But keeping them alive isn’t easy. Profit margins are low in the grocery business, and most chain stores accumulate earnings through volume. At small-scale stores like the one in Walsh, the limited clientele means limited sales and, perhaps, bankruptcy. An analysis of rural food cooperatives by the University of Wisconsin found that the most successful stores were the sole grocery store within 20 to 30 miles — in other words, the ones that faced the least competition. The arrival of dollar stores, and the closure of local grocers, can turn rural areas into food deserts. When fresh food doesn’t reach the people who need it, or when it’s too expensive for most residents to afford, the result can be a cycle of malnutrition, poor health, and poverty. Walsh’s grocery, however, is thriving, thanks in large part to meticulous inventory management. (Think mark-ups, though still within reason, for coveted fresh produce, and steep discounts for staples like milk.) The store’s profits fold back into the business, which has 18 mostly part-time employees. Revenue from shares issued to townspeople at $50 each, plus a no-interest loan from the Southeast Colorado Power Association, helped get the business off the ground in 2006. Once the loan is paid off, Jones said, shareholders may start receiving an annual dividend. This year, for the first time in a half-decade, the store posted a profit during summer months. Community-owned stores aren’t the only fix for towns struggling to retain their food purveyors. Small towns have experimented with cooperatives, public-private partnerships, school-based stores and even nonprofit organizations. And perhaps no community has broken more ground than Saguache, Colorado, a town of 500 that lies 35 miles from the nearest full-service grocery store. A volunteer at the 4th Street Food Store in Saguache, Colorado, prepares fresh local carrots for the shelves. 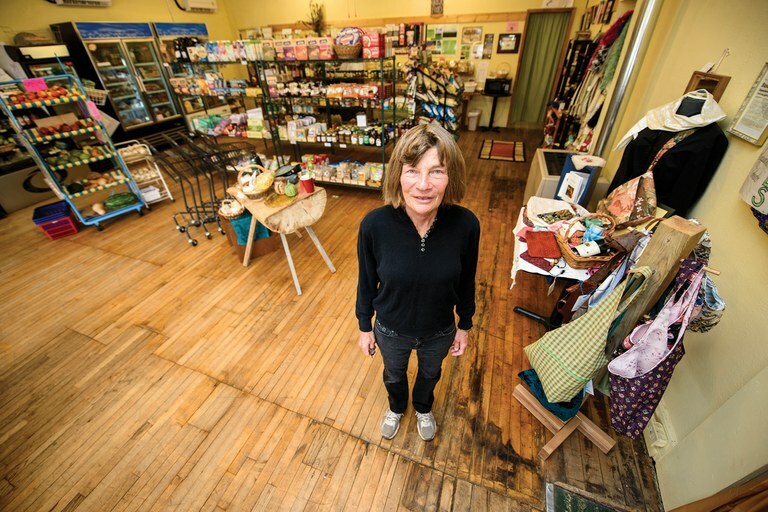 Saguache’s grocer depends on an off-the-wall nonprofit model that blends revenue from a thrift store with health food products. 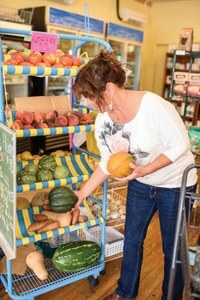 Cofounder Marge Hoglin, a semi-retired former journalist and small business owner who bought the property with a partner for $45,000 in 2012, today employs three part-time workers at the 4th Street Food Store, where she keeps produce prices low by maintaining close relationships with local growers. The thrift store, with its donated, free inventory, generates enough revenue to cover overhead costs, subsidizing the health foods operation. She is also the only retailer in the county to participate in the state’s Double Up Food Bucks program, which allows people to use $20 in food stamps to purchase $40 of produce. Revenues have doubled since the store opened, said Hoglin, who runs the nonprofit as a volunteer. Hoglin’s sacrifice isn’t unusual. The success of many rural grocery stores depends on altruism from owners, managers and employees—people who recognized that conventional grocery stores weren’t serving their towns and sacrificed time, energy and personal capital to bring about change. (In Saguache, for instance, the only other retail food source is a glorified gas station convenience store.) As with many small-town institutions, the survival of grocery stores may be less related to sales and profit margins than on selfless, civic-minded communities.